Stand up and paddle or take a kayak tour in Scarborough while taking in the stunning coastal views. Enjoy a personally guided kayak or paddle board tour around Scarborough's jurassic coastline. 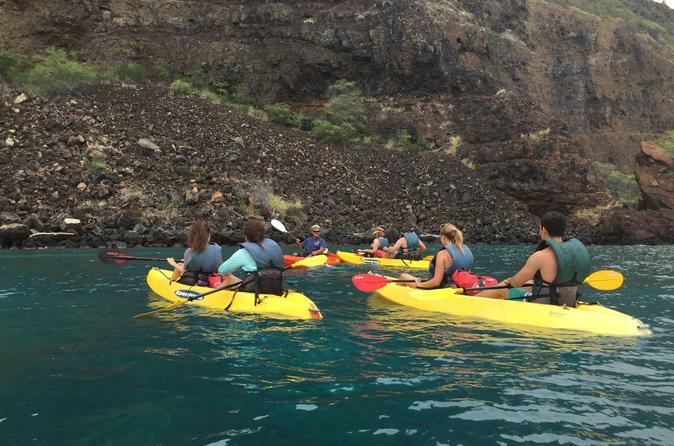 This tour provides a great opportunity for close encounters with marine animals. To ensure a unique and unforgettable experience, you'll be using either a sit on top Typhoon kayak or a Typhoon paddle board. These are great for both the beginner or advanced paddlers, and are designed to offer great stability and comfort without losing its quick swift ride. XL Fun! 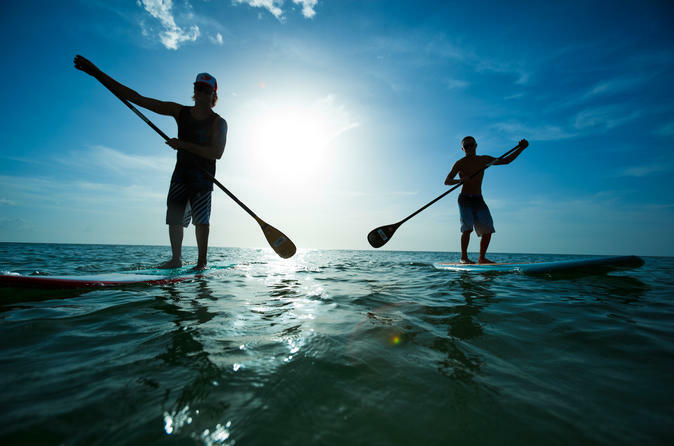 Why paddle alone when you can have loads of fun with up to 7 friends on one giant paddle board? The new Fly Air XL can be used for super fun wave riding or on flat water and river tours – just perfect for a bigger group of friends, paddle groups or school classes to have fun on. Whether you choose to take a tour, do a race or going down the wave, it's the ideal fun for families or groups of friends! If you love to explore and enjoy nature in your own time at your own pace then, kayak hire is for you. It will offer you an adventure of a lifetime to explore and be at one with nature. 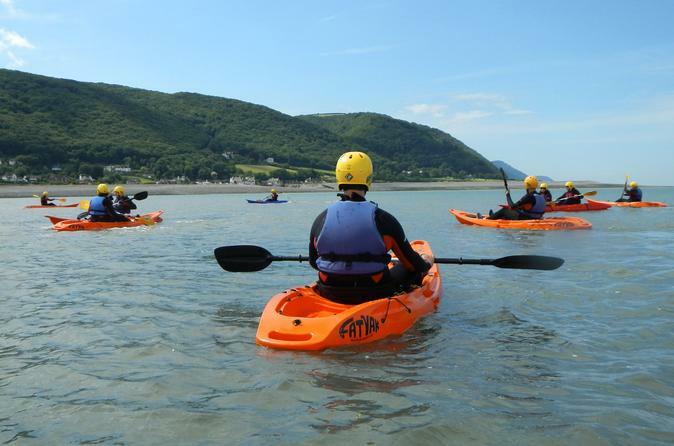 Fun, easy and scenic, kayaking is the best way to explore Scarborough's beautiful coastline. Hire your full surfing kit in the surf shop positioned in the heart of the Scarborough surf scene – North Bay! The Surf Hire Centre is positioned a mere 30 second walk to the beach with access to an indoor hot shower, multi-changing facilities & lockers. If you’re a newbie to surfing, or only just forgotten a board, you don't need to look further! This private surfing lesson gives you a more personal surfing experience and allows you to surf at your own pace alone or with friends or family. This package also offers discounted hire for 2 hours after your lesson. All equipment & accessories are included in the price. Fun, easy and scenic, paddle boarding is the best way to explore Scarborough's beautiful coastline. Join the new surfing phenomenon. Paddle boarding is a fantastic activity for both kids and adults. This lesson gives you an introduction to surfing and allows you to surf at your own pace. 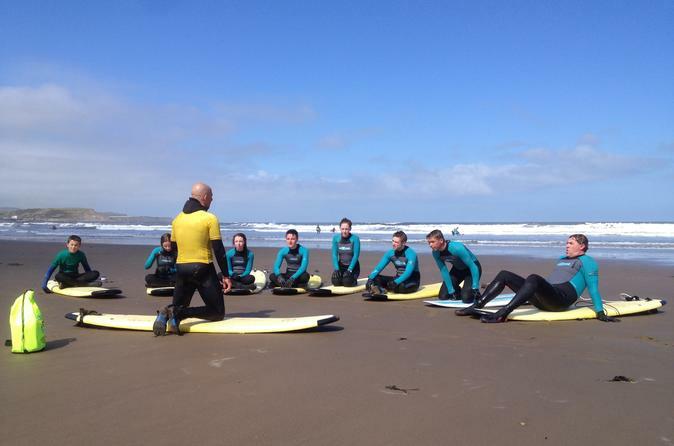 The group surfing lessons are a fantastic opportunity to get out there in the water, meet new people and learn to surf; with up to 10 people out on a group session you'll really have a laugh. 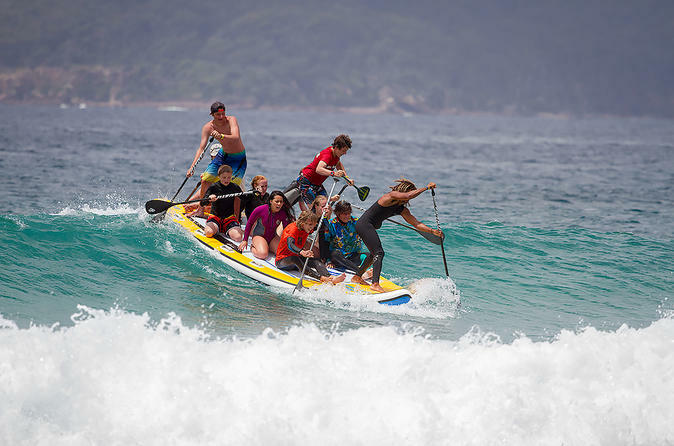 This surfing school prides themselves on their teaching ability, so you can be assured that when you're in the water there will always be (at the very most) a 10 student to 1 surf coach ratio, making sure that you are looked after the whole time.